I have a Chicken. I have a Child. 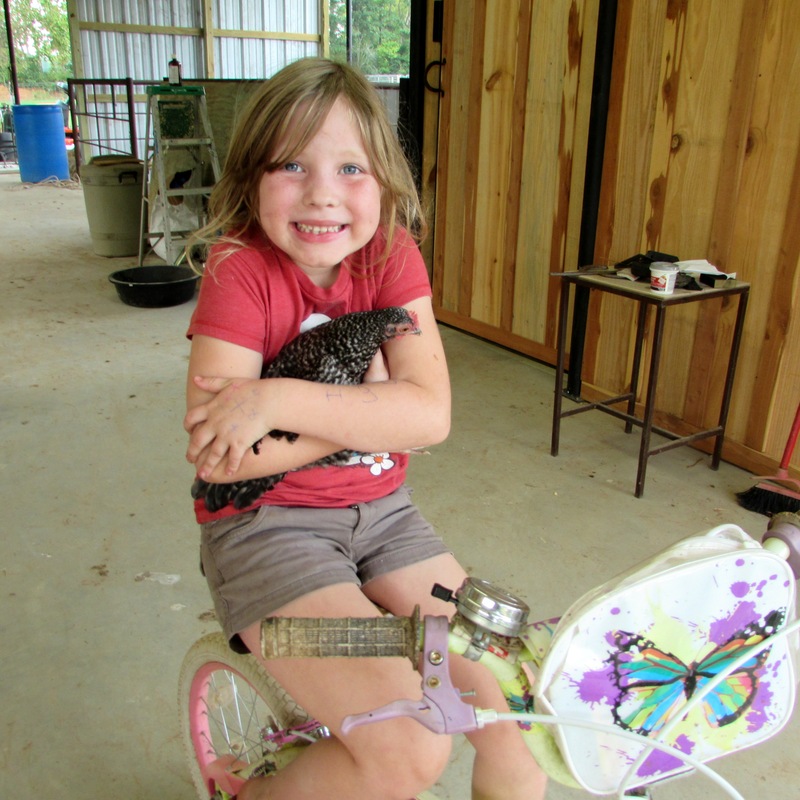 I have a Chicken and a Child who are both dearly loved. 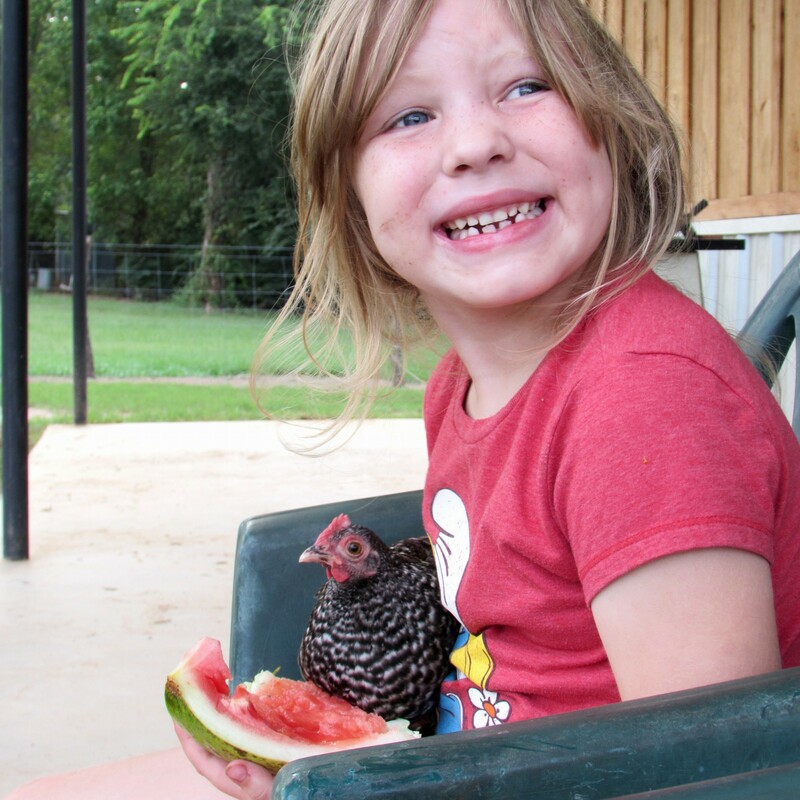 The Child and the Chicken are both consumers of watermelon. See the evidence below…. People often tell me that Addie needs a little brother or sister otherwise she will never learn how to share. I say to them, we have Stripe-Stripe. And Stripe-Stripe is all we need…. 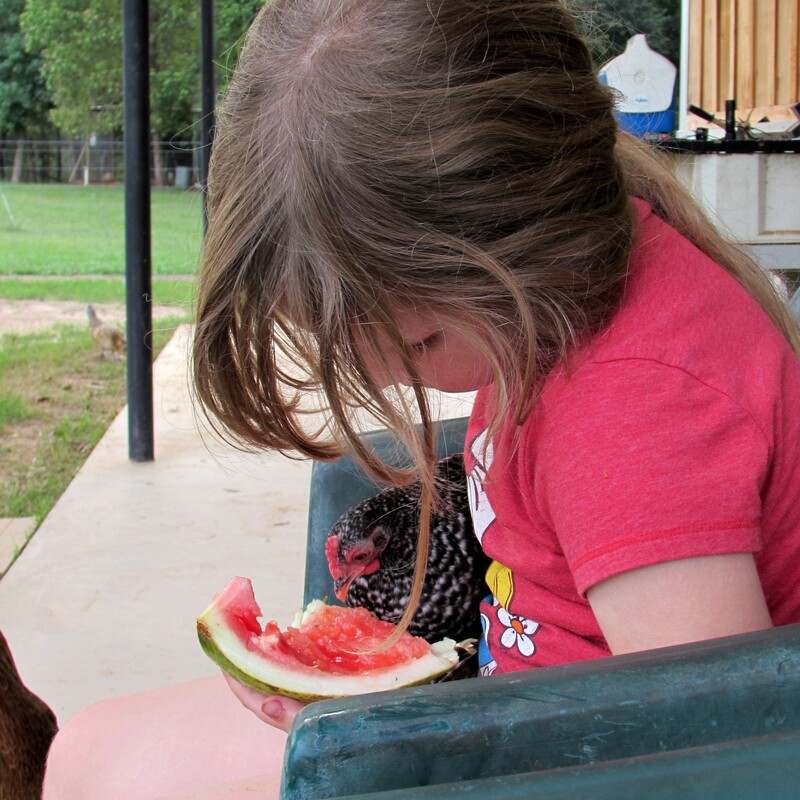 No watermelon hoarding going on in this barn, no sir! We take turns in this neck of the woods! 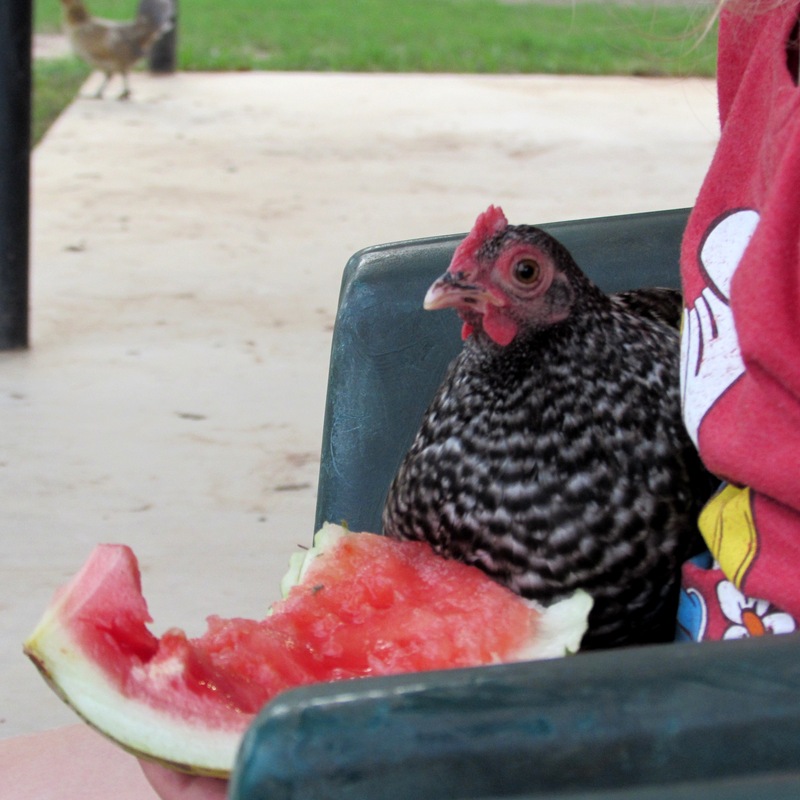 Don’t worry though, Addie ate her portion first….we try and minimize the lip-to-beak contact as much as possible. Not saying it never happens……..you know how it is. See, Addie even shares her BIKE with Stripe-Stripe. More babies? Not for this Wicked Chicken! We share beautifully, thank you very much! What a wonderful experience for your daughter! Beautiful photographs, too! Thank you, we have a lot of fun together!